That mean voice is strong and persistent. No matter how many times you may try to tune it out, you can’t. And after years of listening to that voice, you may start to believe what it’s telling you. This is how we develop body shame. 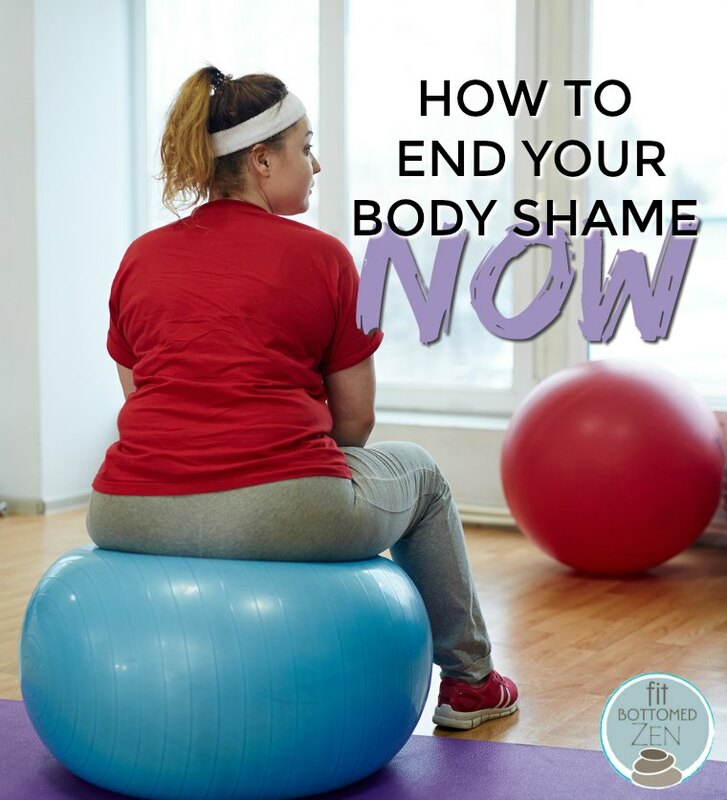 There’s a lot of body shame talk these days, but much of it focuses on the body shaming that comes from others, also known as bullying. The body shame that comes from that mean voice within — it’s a bullying we do to ourselves — and to squash it we must have self acceptance. To achieve total self acceptance takes practice. It’s the kind of thing where small steps lead to big change. So don’t expect a total mindset shift overnight when suddenly you’re loving every little thing about your body. Instead consider introducing another voice to counteract that meanie, and become so consistent with this new voice that eventually it becomes the one dominating the dialogue. This may feel strange at first. That mean voice jumps in during your tricep rep and says your upper arms are flabby. Rather than give into this negative comment as a victim, reply with something kind to yourself like “My arms are getting stronger.” And then shift the focus to your muscles engaging in the workout. Notice how it feels to use them so intensely. You can even repeat your kind comment out loud for extra emphasis if you really want to knock that mean voice out of your head. The key to gaining self acceptance is to practice self compassion. You must be gentle with yourself. Even though it’s easy to compliment others, telling ourselves something nice often doesn’t come naturally. Many of us have spent our whole lives hating something about our bodies, and it’s because we’ve had that mean voice constantly filling our head with negativity. So whenever you hear that mean voice trying to bring you down, notice it. You may say something like “I hear you but I’m not going to listen.” And then say something kind to yourself. It’s a practice. Do it whenever you think of it, and eventually it’ll become natural — so you’re no longer listening to that mean voice, but instead you’re responding with compassion.